Whether she’s playing the iconic Miranda Priestly in The Devil Wears Prada, the heartbreaking and heartwarming Hannah Pitt in Angels in America, or the ABBA-belting Donna in Mamma Mia, one thing’s certain: Meryl Streep has got it going on. To celebrate our love for Meryl, here are five geeky roles we’d love for her to play. It’s been almost 30 years since the last film adaptation of The Witches, so we think it’s time to call up the Roald Dahl estate and pitch a new adaptation. We have an incredible amount of love and respect for Anjelica Huston, but imagine how wonderful Meryl Streep would be in the role of the Grand High Witch. No, not wonderful. She’d be magnificent. Roald Dahl considered the 1990 film to be “utterly appalling” and we’re 100% on board for an adaptation that’s true to the text – something that would make Dahl proud of the fantastical world he created. In The Wanderers, retired NASA scientist Helen Kane must prove that she’s ready for a high-stakes journey to Mars by participating in the most realistic 17-month Mars simulation known to man. It’s rare to see a woman Streep’s age in a sci-fi situation and we’re eager for this psychological thriller to make its debut on the silver screen. It’s a novel that blurs the line between reality and imagination – offering a meaty role for our girl Meryl to dig into. The Martian with a diverse cast and an interesectionally feminist lens? We’re ready. She makes a very brief appearance in the comic, but when Ms. Marvel is adapted into the big budget movie it deserves to be, we want to see a cameo from Meryl Streep in the role of Bruno Carrelli’s grandmother. While we don’t get many scenes at his home, Bruno – aka Ms. Marvel’s best friend – lives with his grandparents in Jersey City. Like Bruno, they’re big-hearted and huge supporters of Kamala Kahn. (Ms. Marvel’s secret identity. Shh!) Meryl Streep in a Marvel superhero movie. Need we say more? With her role in Fantastic Mr. Fox, Meryl Streep showed the world that not only is she a fantastic voice actor, she’s also pretty terrific at playing non-human roles. 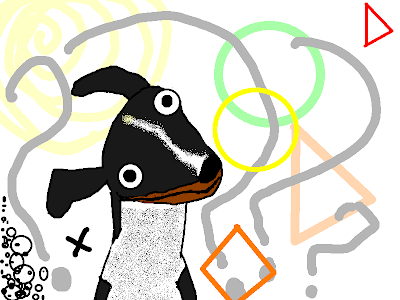 If there’s ever a Hyperbole and a Half animated movie, we’d love to see Streep in the role of The Simple Dog, the dog Allie Brosh often personifies as thinking in primary colors and uncomplicated shapes. She’s such a good dog, but her thought process is questionable at best. We’d love to see this character treated with the Meryl Streep School of Acting. Think of how wonderful that would be! This summer marks the 40th anniversary of the NASA Voyager mission. We’d love to see a biopic of Ann Druyan to coincide with this nerdy celebration. More than just Carl Sagan’s widow, Ann Druyan was one of the leads on The Golden Record project – a gold-plated LP containing the world’s best music and greetings in over fifty languages. The record was affixed to the exterior of Voyager I and Voyager II – a message to any extraterrestrials who may encounter the space crafts. Murmurs from Earth is currently out of print, but remarkable nonetheless. It documents the process of assembling The Golden Record – from the idea to implementation. If Meryl Streep played a present-day Ann Druyan it would make our year. Look out for those love letters to your agent’s office, Meryl!